Pop Up Stands are a great way to promote your companies products and services. These Displays units are the most used and purchased for exhibitions, shows and events. The reason for there popularity lies in there ease of set up and the option to change graphics to suit your needs. Our 3×3 Pop up stands are our largest Pop Up stand system which comes with a range of additional extras like lightening, wrap around podium graphics, beech top for podium case and professionally design graphics. For larger or more custom units please contact us to discuss your requirements. 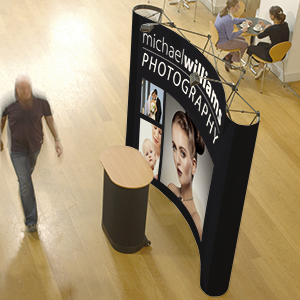 Pop Up Stands , popup signs or pop ups as the are otherwise known. These units are the most widely sought after display stands. They are ideally used for exhibitions, events, shows, product launches and more. Our banner stand graphics are printed on high quality pop up material that is laminated with anti scratch laminate. These units are offer easy assembly which can be done within 5 minutes. Comes complete with hard carry case for ease of transport. Quick and easy assemble – just 5 minutes and your done. Competitive priced Pop Up Stands are offered with our instant online ordering system. Order your Pop Up stand today with Click Printing – Ireland’s best competitively priced online design and print store. Standard delivery time for our Pop Up Stand is 5 working days from approval of proof. 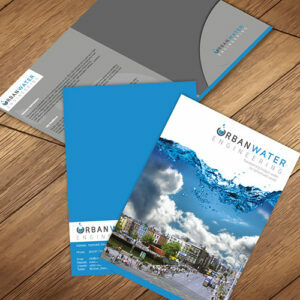 Give your potential customers the right impression about you. 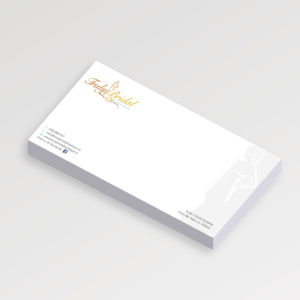 We offer ultra fine compliment slips that will get you noticed. Compliment Slips are ideal for sending a small hand written note to your customer or attached with a note to a cheque or sample.